There’s endless magic to embrace as the sun keeps shining through this #SummerofLIVE, and another legendary Lollapalooza weekend is officially in the books. This year’s festival was a full four-day affair full of discovery and deliciousness in the heart of downtown Chicago – and Ticketmaster was there to capture all the action with Ashley Hesseltine and Rayna Greenberg, the gals behind the Girls Gotta Eat podcast. 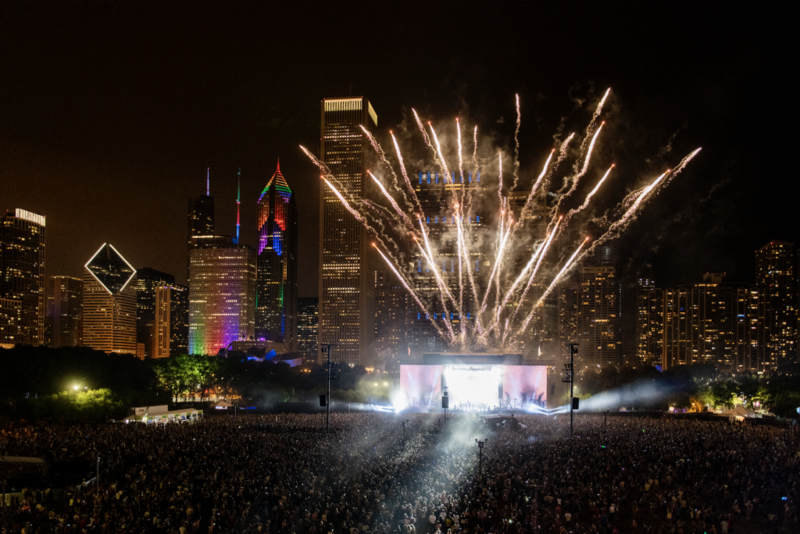 From the best bites, to the biggest acts and stages, read on for our exclusive highlights from the festivities at Grant Park. On Day 1, the girls got their Chicago food fix with bites from iconic restaurants like Big Star and Publican before checking out fan-favorite acts including Camila Cabello, Khalid, and Billie Eilish – all while taking in signature sights nestled in Grant Park. Day 2 was absolute gold with undeniable rising stars like Lizzo and Greta Van Fleet, man-of-the-moment Post Malone, headliner Bruno Mars crushing his only 2018 festival appearance, and Chicagoan creative Nathan Michael hitting the ground to capture his Lolla experience alongside Ashley and Rayna. The festivities were just getting started by the time Day 3 rolled around, which meant taking time to unwind at Lolla’s exclusive VIP Express Spa before hitting the stages to take in a hip-hop heavy day with LL Cool J and Logic, then blasting off with Dua Lipa and “Starboy” himself, The Weeknd. Even if you can only hit the festival scene for a single-day, Ticketmaster can still make that magic happen with the Official Lollapalooza Wristband Exchange. For Day 4 of Lollapalooza, Ticketmaster was able to pass on some #SummerofLIVE magic to local fans like Hannah E. and her husband, Josh. The couple enjoyed a great day in Grant Park making friends and memories with tons of music to spare. More Day 4 highlights included enthusiastic crowds getting down to Lykke Li, Lil Uzi Vert, Portugal. The Man, and Jack White to name a few. Lolla 2018 got you feeling FOMO? We’ve got the cure. Add Lollapalooza and other must-see festivals to your Favorites and add “Festivals” to your Categories of Interest so you don’t miss a beat next year. Learn about how to update your Ticketmaster Account. And there’s plenty more festival fun to go around this #SummerofLIVE and beyond. Savor your slice of festival season’s signature sights and sounds by grabbing tickets to Outside Lands, Austin City Limits, Music Midtown, Voodoo, Made In America, and more at our handy Festival Guide.